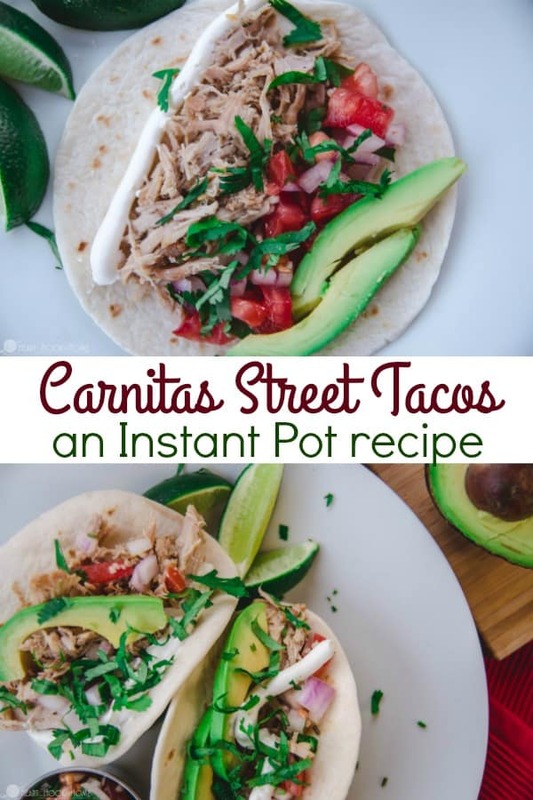 Do you have 40 minutes, an Instant Pot, and a constant craving for street tacos? 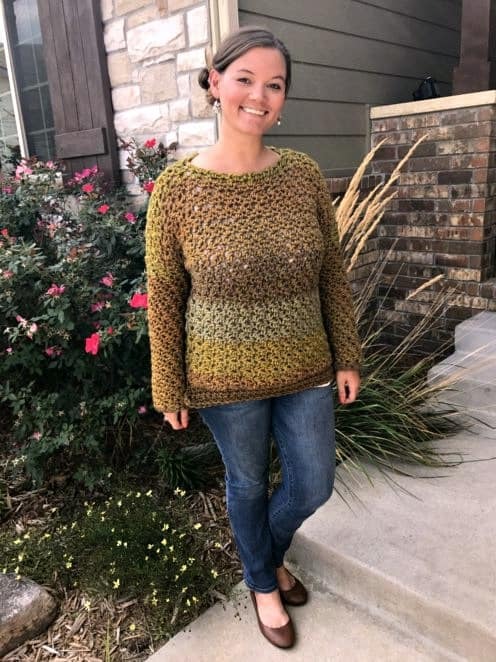 If you answered “yes” to these questions then you, my friend, are in good company! I trust that your family is just as busy as mine, which means that we are always looking for quick meals that add protein to our diets and this recipe, featuring Smithfield®, does just that! 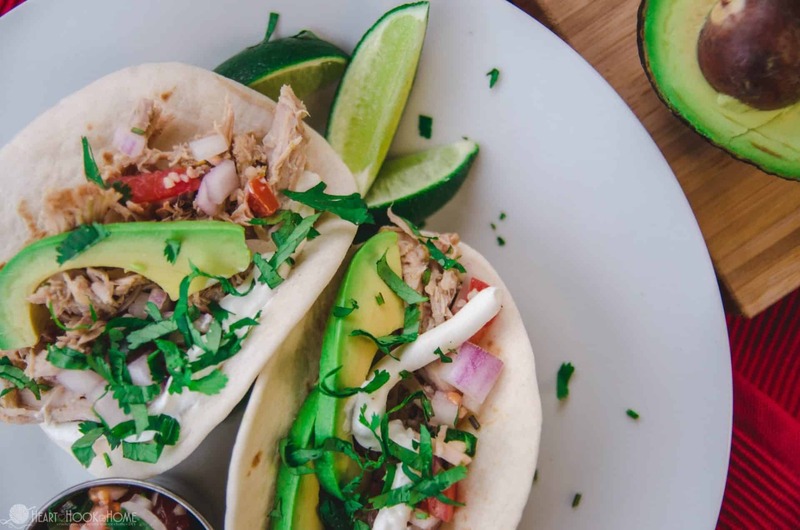 In just 40 minutes you’ll have Carnitas Street Tacos that taste like you slaved in the kitchen for hours, making this the perfect weekday or weekend recipe. 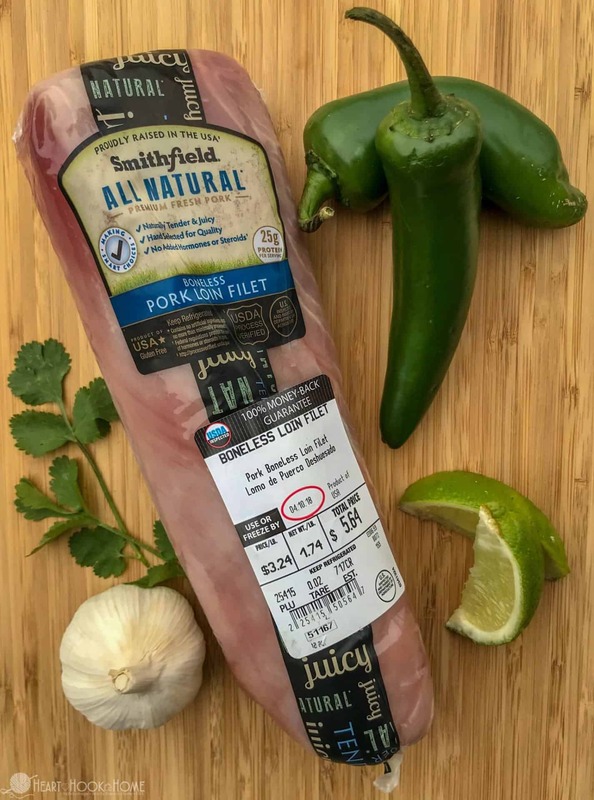 For this recipe we are using the Smithfield All Natural Boneless Loin Filet, which can be found in the fresh pork section of your local Walmart. 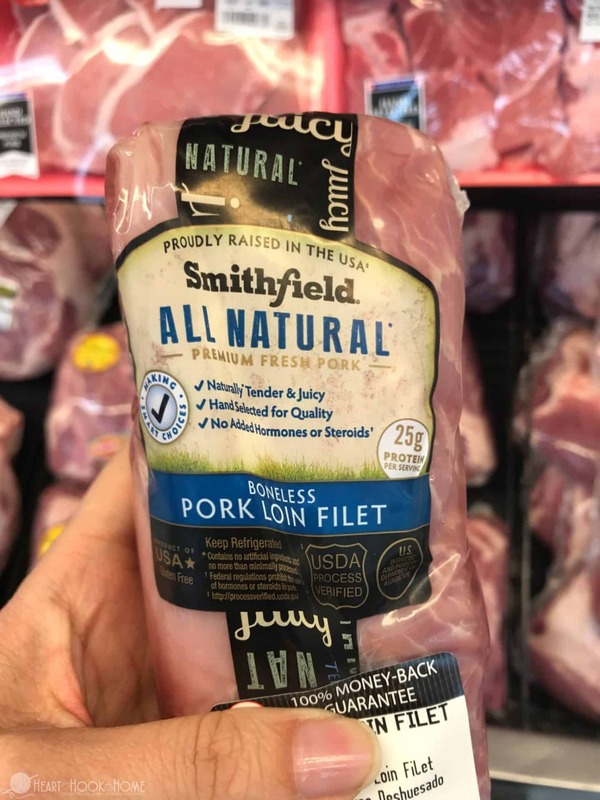 Grab this coupon to use at Walmart on any Smithfield All Natural Pork product. 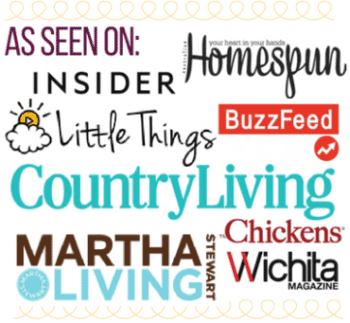 Of course you could bake, grill, or saute pork, but we’ll use the Instant Pot because we are looking to get good food on the table – fast! Smithfield® Fresh Pork is proudly raised in the USA and is hand-selected based on coloring and marbling. Because of this – and the no artificial ingredients, no preservatives, no added steroids or hormones – you can SEE the quality and TASTE the difference. I must admit the meat is more tender than I was expecting in just 40 minutes. Cut loin into 3 pieces, place fat side down in the Instant Pot. Select the "Meat/Stew" option (35 mins. cook time) and let that Instant Pot go to work. Meanwhile prepare some homemade pico de gallo, chop some cilantro, cut up a couple avocados. When cooking cycle ends let your Instant Pot depressurize (naturally being the preferred method). Remove meat, shred with a fork and add back into the Instant Pot and give a quick stir. Pour the meat mixture into a colander draining off the majority of the excess liquid. 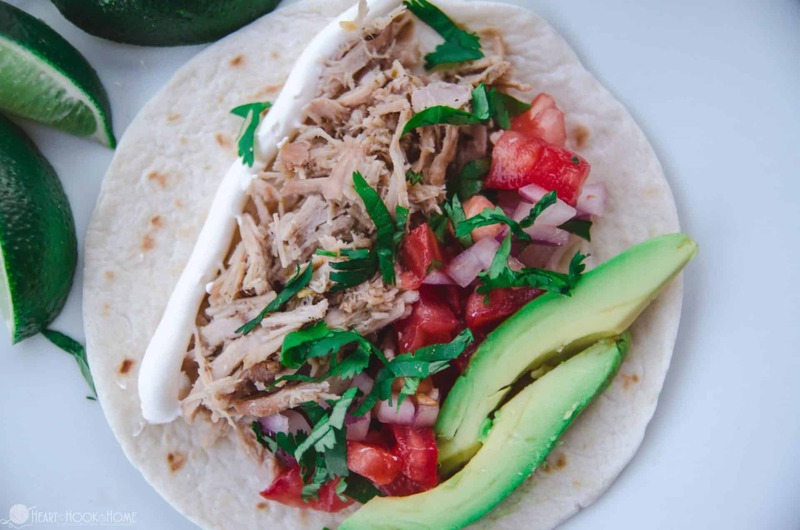 Take the desired amount of meat, put it into a pre-warmed tortilla and dress with pico de gallo, a slice or two of avocado, sour cream, cilantro, and a squeeze of lime. 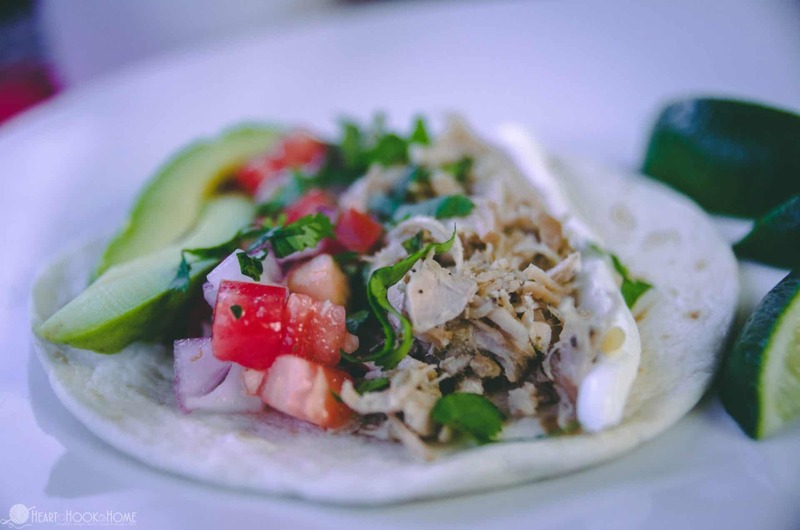 This recipe yields between 12 and 20 street tacos, depending on how fully you stuff them. For me, that means I need a fork because I always overstuff my tacos! For our family of four we used about half of the meat and then let the rest marinate in the juices overnight for leftovers. And what is better than street tacos?! Using up that delicious leftover shredded pork to top tortilla chips along with cheese, sour cream, tomatoes, and black olives to make some amazing shredded pork nachos the next day! 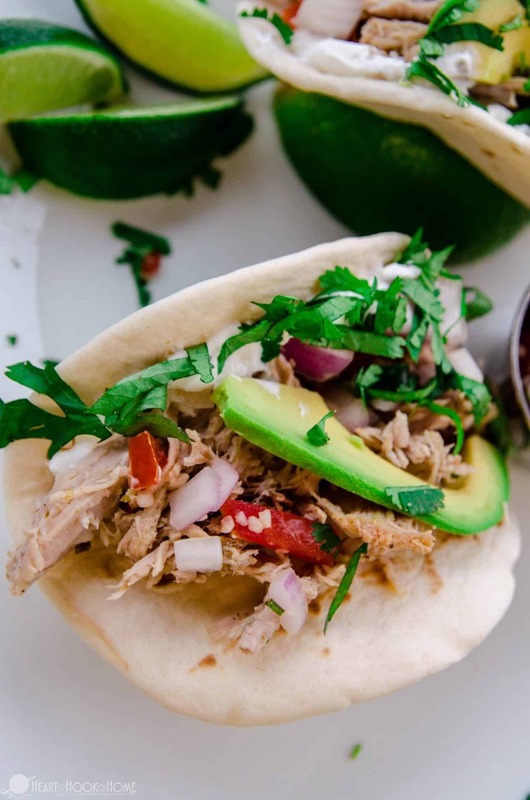 These Street Tacos are an inexpensive, easy dinner that my whole family enjoys. When you try them, let us know how much you love them!